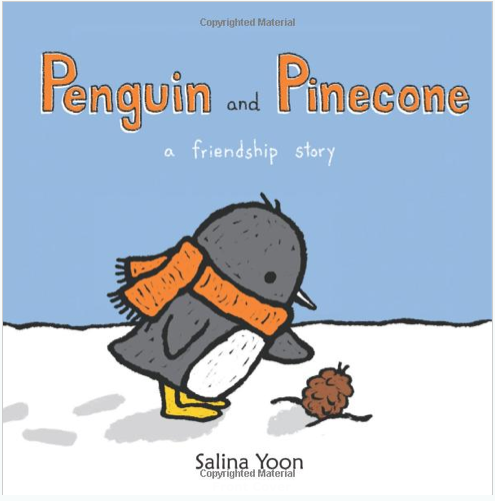 Salina Yoon’s spare text and bright, energetic illustrations bring to life this endearing story celebrating friendships lost and found, and overcoming the odds to be with the one you love. Uber charming–check out (shameless library pun!) the whole series.